We have some exceptional quality entertainment lined up to transport you back to the heyday of the Jazz Age with impeccable style. Perth has far more than it’s fair share of talent in the jazz, cabaret, vintage burlesque, dance and circus scenes, and we’ve been lucky enough to work with some of the best. We’ve curated an evening of entertainment based on some of the most stand-out talent in this fair city, gigs that have stayed etched in our memories. You will be impressed. You will be enchanted. Graham Wood will be leading a hand-picked band of some of Perth’s finest Jazz artists from his iconic venue The Ellington, playing standards from the 1920′s and 30′s. Guest vocalist will be the enchanting Gina Williams. Jessie Gordon is the darling of the Perth Swing scene. Torch singer, dancer and all round babe, her sultry tones and band The Darling Buds of May will have you dancing off into a dream. 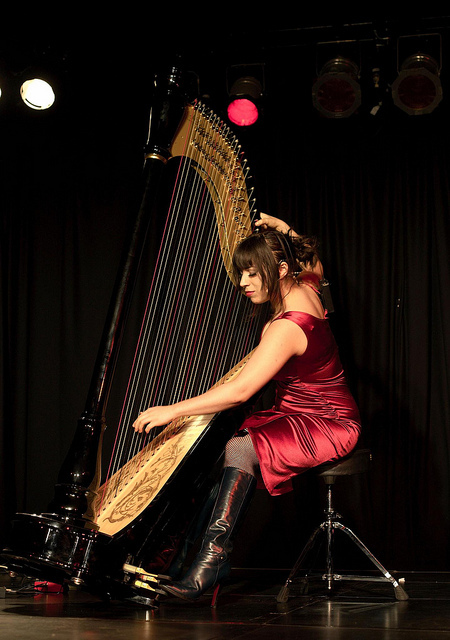 Michelle Smith is one of the few Jazz Harpists in the world. We’re lucky enough to get her between her stints studying in the US, she’s a gal that’s going places in more ways than one. Michelle is a Classical, Jazz and Burlesque Harpist all wrapped into one package, but she’ll be serving up some hot blues for the Beaux Arts Ball. In addition to jazz, we have the honour of a guest appearance by renowned Soloist and Soprano Zoe Kikiros, courtesy of the West Australian Opera. The amazing contortionist Kimtortion and juggler Jaan van Hollen will be doing a double act – perhaps Rag Doll as they famously perform for Circus Joseph Ashton, or perhaps something new… oooooh! 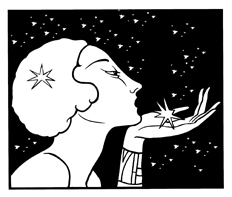 Serena Chalker from Anything Is Valid Dance Theatre will be doing a recreation of dances of Isadora Duncan, the ‘mother of modern dance’ who is unfortunately better remembered for her careless death-by-scarf. I don’t think Serena’s doing that bit. VJzoo (that’s us) will be projecting some of our vast collection of 20′s and 30′s dance footage to encourage you to get your own feet moving too. All of the above acts are subject to international touring opportunities if they arise. Hi, I’m from a circus performance group based in Perth called Syrc. We would love to perform at the 2012 Beaux Arts Ball as we are currently working on a range of 1920′s themed aerial and ground based circus acts – triple trapeze, contortion, adagio, lyra, fan dancing puppetry and hand balancing. Let me know how we can get involved! There won’t be a 2012 Beaux Arts Ball, I’m afraid.